Millions of people rely on our transportation infrastructure every day of the week. From commuters on their way to work or freight on its way to businesses and manufacturers, the operators of buses, trains, airports, cruise and cargo shipsand light rail systems are constantly reminded of the need for security. Police, private security guards and special transit officers can’t do the job by themselves, so that’s where electronic security systems come into play. Even without the ongoing concerns of Homeland Security, crime is an ever-present threat on public transportation systems. That’s why a video surveillance system is essential for public safety. It is also an efficient management tool for weather and traffic conditions. At Ojo Technology we have worked with most of the major municipal and regional transportation agencies in Northern California including Bay Area Rapid Transit (BART),Valley Transportation Authority (VTA), San Francisco Municipal Transportation Agency (SFMTA), Santa Cruz Metro, AC Transit, Caltrain, Altamont Commuter Express (ACE), Sacramento Regional Transit, San Joaquin Regional Transit District, AMTRAK station, Golden Gate Transportation District, Bay Area Toll Authority (BATA), Port of San Francisco and Port of Oakland. 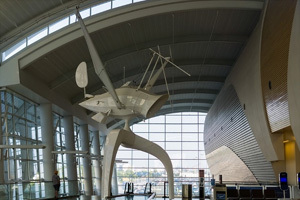 We also completed a project for the Norman Y. Mineta San Jose International Airport where Ojo Technology and its partners were included in the airport’s Diamond Partner of the Year award from the International Partnering Institute, involving the installation of an extensive perimeter camera system.